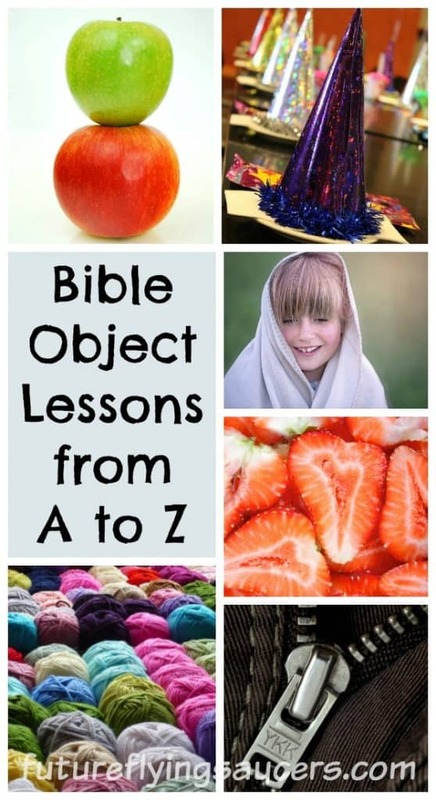 Bible Object Lessons A to Z | FutureFlyingSaucers. Jesus used object lessons during many of His sermons. He even used them while He was walking down the road with His disciples. It would make sense that if we want to teach as Jesus taught, then we should use object lessons as well. Jesus used common objects such as sheep and trees when He taught, and we can do the same. The following list of Bible Object Lessons are organized from the letter A to Z. This was mainly for organizational purposes, but these lessons would be wonderful for 26 week curriculum. As each lesson becomes available, it will highlight in blue. Q – Quit Killing Christians, Saul!